Babies are gross. Cute, but gross. At birth, they’re already old pros at making projectiles of bodily fluids, when they’re mobile they eat old food off the floor, and worst of all they like to “supervise” nappy changes by reaching their hands down to check out what’s going on. Necessity is the mother of invention, and while no one has thought of solutions to the first two problems, the wonderful world of Kickstarter has brought us a brilliant invention that has the third problem all stitched up. “Hi, I’m Michael and I believe that poop does not belong on a baby’s cute little fingers,” begins the promo video for SnoofyBee’s Clean Hands Changing Pad. 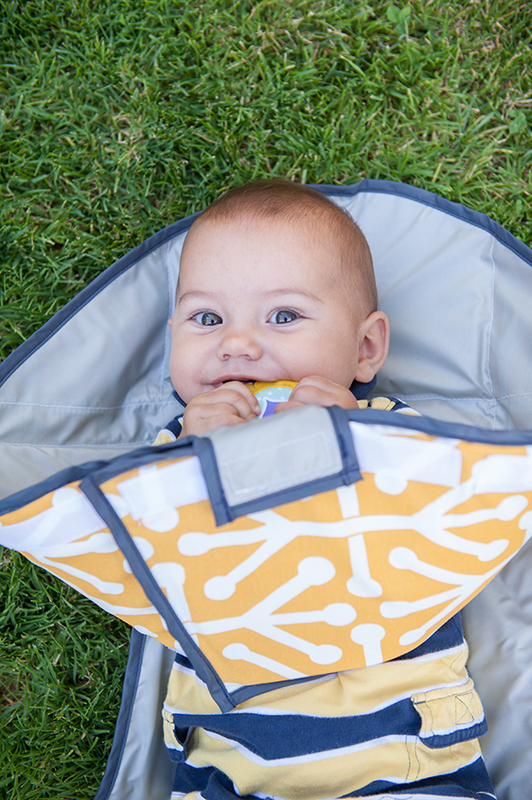 It’s an ingenious change pad with wings that fold up and velcro into a sort of conical barrier that keeps hands and toys above the waist, and nappies and ickiness below. Around nine months, the nappy change game seriously levels up. You wipe, block an errant hand, wipe, stop the baby before he flips off the change table, wipe, catch the dirty nappy that gets kicked into the air. The Clean Hands Changing Pad ends those struggles. 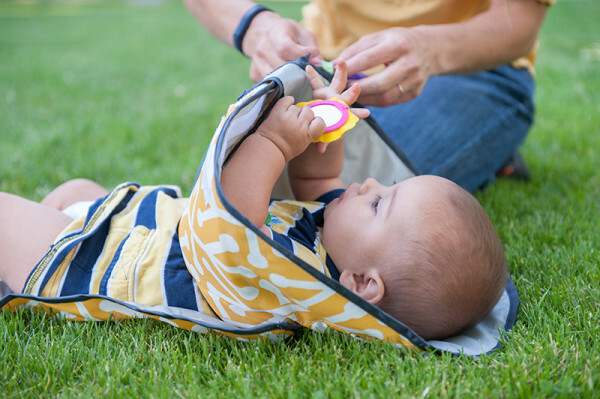 Some baby gadgets just make more clutter, and others completely save your sanity. goal to add more colours and patterns to the range. We vote for pattern two: baby blue with white arrows. Head to Kickstarter to learn more and pledge your support.